Further. with the quickening (If the pace of technical progress. riskiness of business has increased so that e\en, though the normal economic life of capital assets may extend over a long period. businessmen want to recover their capital costs in a short period of three to four years. In such a situation. 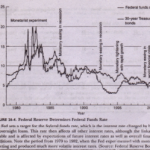 the rate of interest docs not exercise an important influence on investment decisions. Another contributory factor has been the growth of progressive system of income and profit taxation. An increase in the rate of interest increases the cost of production and. given the sales receipts. reduces the pre-tax profit. But with the lowering of pre-tax profits. the tax rate also is reduced so that profits do not fall as much as profits pre-tax. From the businessmen’ point of view. profits post-tax arc more important than prc-ra profits and the progressive system of taxation neutralise somewhat the adverse cf- Iccts of high metered rate. on the profitability of investment. Couclelis. The bank rate policy, however. has not yet gone completely out of use. though its relative Importance has been much reduced .It is still used as an instrument for correcting wrong trends and restoring equilibrium through its influence on the supply of, and demand for, money. Whether it acts through affecting short-term interest rate and investment in liquid goods, as Hawtrey holds, or through long-term interest rates affecting investment in capital goods as contended by Keynes, is 11 matter which is difficult of verification, Interest, moreover, is only one of the clements of cost, whether the investment is in liquid goods or in capital goods. The state of trade and prices is affected by several other factors. It should also he remembered that the explanations of the pro given h) Hawtrey and Keynes are not mutually exclusive change 111 hank rate may lead to copcs in holding stocks as well as components in fixed capital goods. 111e difference is only of empha. Credit rationing means restrictions placed by the central bank on demands for accommodation made upon it during times of monetary stringency and declining gold reserves. The credit is rationed by limiting the amount available to each applicant. Further, the central bank restricts its discounts to bills maturing after short periods. 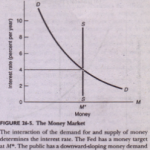 This method was used by the Bank of England till the end of the 18 century when the usury laws prohibited UIC raising of discount rote beyond 5 per cent. After the critical period following World War I, credit rationing has been adopted as a policy by a number of countries like Russia and Germany. This method of controlling credit can be justified.